Hey buddies, you know what? We've reached the number of 500 releases!! I'm not authorized to give you free licenses to celebrate it, but... I'll hand to you a brand new release with several improvements and bugfixes. Sounds good? You can download Plastic SCM 4.1.10.500 here. If you haven't noticed yet, we've moved our Plastic SCM 4.1 series to the "older releases" section to make place for the new Plastic SCM 5.0 series. We already published 5.0 as the official release as it is much more interesting to download, especially for new users, than the old Plastic SCM 4.1. Eclipse, core and GitSync improvements. Remember that we're still listening to the User's voice and the forum, so please don't hesitate to let us know your problems and features you'd like to see in Plastic SCM. We've improved the time loading the client.conf file in Windows (a 66%). This means that cm commands will run a little bit faster, as well the startup of the GUI, java plugins (Eclipse, Bamboo, Crucible, TeamCity...). We used .NET XMLSerializers for that, and they've have proved to be a good idea. There's no substantial improvement under Mono. 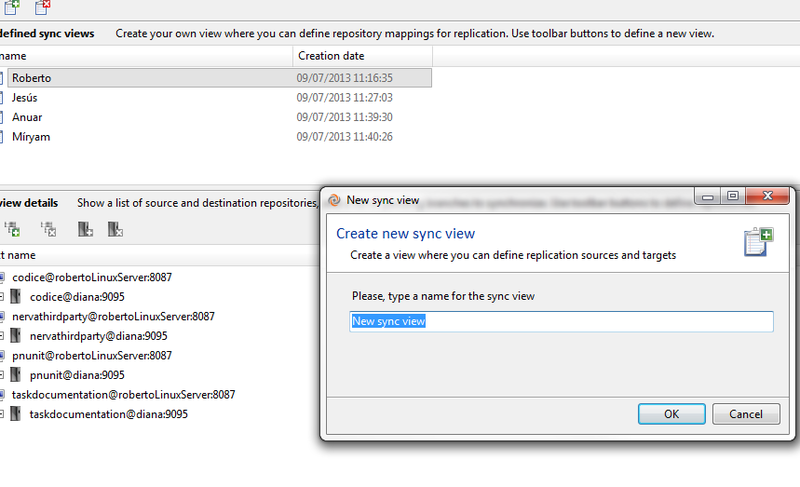 Sync view: when creating a new Sync view, if the text box was emptied and Cancel or Esc was pressed, the dialog was not closed because the value was validated, which it was not necessary. Besides, the "OK" and "Cancel" buttons were not correctly aligned to the right side of the dialog. Merge tool (requested by customer): The XMerge was not working properly when the moved proposed by the XMerge was at the end of the file (the last line of the moved text was the last line of the file). Merge tool (requested by customer): The "tabs" (4 or 8 spaces) preferences changes were not correctly saved in mergetool.conf; thus, when reopening the tool the old values were loaded instead of the new ones. This did not happen in the Diff tool. Shell Extension (requested by customer): Fixed an "Extension engine has not been configured" error message when configuring a task control plugin if this was the first operation performed with the plugin. The plugin was not initialized when showing the preferences, but in the first Plastic SCM operation.